Welcome to Division of Boating and Ocean Recreation! DOBOR aims to preserve Hawai`i’s natural and cultural resources while ensuring public access to State waters and enhancing the ocean experience. A Recreational Thrill Craft Operator Safety Education Course (Thrill Craft Operation) is scheduled in Hilo, June 22, 2019. 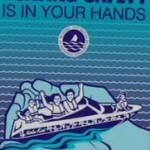 An Ocean Safety Education Course (Tow-In Surfing course) is also scheduled in Hilo, September 14, 2019. For information call 808-934-2700 or email kokuda@hawaii.edu. Re-register my Boat via eHawaii – vessel transfers and new registrations must be done in person. Severe weather can hit Hawaii any time. Are you prepared? Reef Marker Announcement-Kaneohe Bay, Oahu.